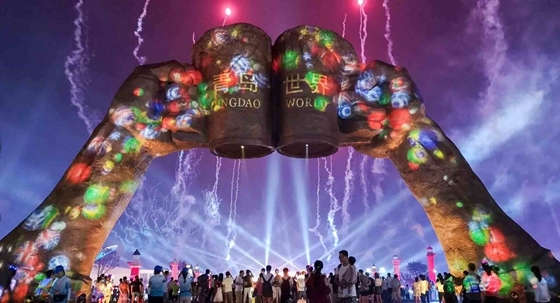 The annual event in Qingdao, East China's Shandong province, dubbed the largest of its kind in Asia, will run until Aug 26 and last 38 days this year, longer than in previous years. The ongoing festival has six major venues around the coastal city. Venues in the city’s West Coast New Area and Laoshan district have firstly spruced up to host visitors. Close to beach and sea, the Golden Beach Beer City in Qingdao West Coast New Area has built new facilities and applied state-of-the-art technologies in operations and service, such as robots, drones, face recognition and big data. The festival there stretches across 800,000 square meters, making it one of the world's largest beer-themed squares. 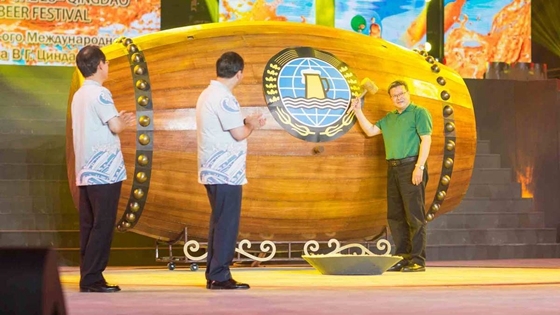 On Friday night, Qingdao Mayor Meng Fanli officially tapped the festival’s first barrel during the opening ceremony at Golden Beach Beer City, followed by a spectacular performance, Phoenix Fire Dance Show, in which international dancers made their moves with fire on hand. The performance is a daily event during the 38-day event, along with an international music season, exotic circus show and artistic parades, as well as splendid fireworks and light displays every day. Organizers from the new area say that this year there are 200 beer brands from over 30 countries and regions that offer more than 1,300 types of beer. 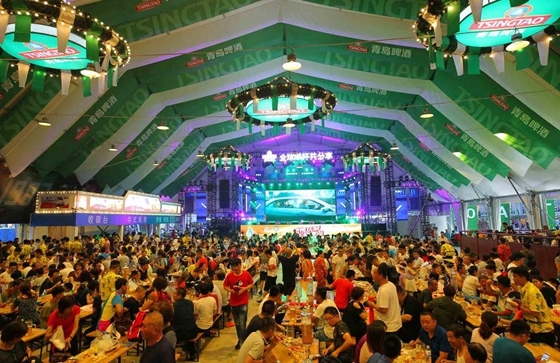 This year’s event is themed, “SCO beer festival”, following the SCO Qingdao summit successfully held in early June. Organizers hope that the festival will enhance exchange among SCO countries. The festival is featuring a vast tent offering Russian beers, and is offering branded beer from SCO member countries. Organizers also invited many performers from related countries. A museum has been established to provide information, such as on beer history and brewing technologies. A mini brewery has been built to offer visitors fresh beer from the production line.